US Vice-President Joe Biden has criticized President-elect Donald Trump for raising questions about the US intelligence community and slammed his inflammatory Twitter activity, urging him to “grow up”. Trump is due to be briefed on allegations of Russian interference in the US presidential election on Friday. The president-elect has repeatedly queried the accusations, which have been leveled without the provision of any evidence of Russian involvement. On Thursday, Trump questioned why the FBI outsourced the job of checking whether the Democratic National Committee’s servers were hacked. “The Democratic National Committee would not allow the FBI to study or see its computer info after it was supposedly hacked by Russia… So how and why are they so sure about hacking if they never even requested an examination of the computer servers? What is going on?” the president-elect tweeted. 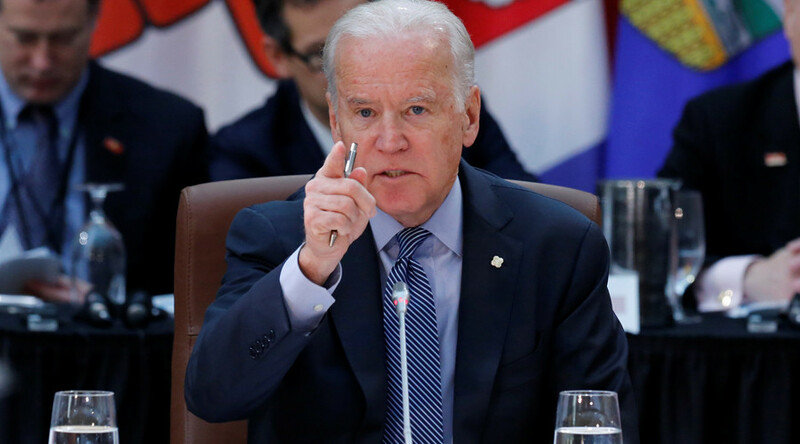 "For a president not to have confidence in, not to be prepared to listen to, the myriad intelligence agencies, from defense intelligence to the CIA, is absolutely mindless," Biden said of Trump’s outburst. "The idea that you may know more than the intelligence community knows, it's like saying I know more about physics than my professor. I didn't read the book, I just know I know more." The senate veteran went on to say that he has read the soon-to-be-published report by US intelligence agencies on Russian interference in the election. He claimed that the report says "that the Russians did, as a matter of policy, attempt to affect and... discredit the US electoral process." When pressed for his thoughts on Trump’s use of Twitter, Biden said: "Grow up Donald, grow up, time to be an adult, you're president. Time to do something. Show us what you have. You're going to propose legislation, we're going to get to debate it. Let the public decide, let them vote in congress. On Friday Trump took to Twitter to reiterate his claim that Mexico will pay for the proposed border wall between the two countries and to berate Arnold Schwarzenegger for the viewership ratings of The Celebrity Apprentice which the movie star and former Republican Governor of California now presents.